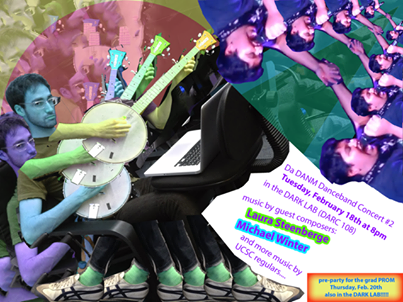 Da DANM Dance Band with music by guest composers Laura Steenberge, Michael Winter and more from the UCSC regulars. Where? In the Dark Lab, DARC 108.